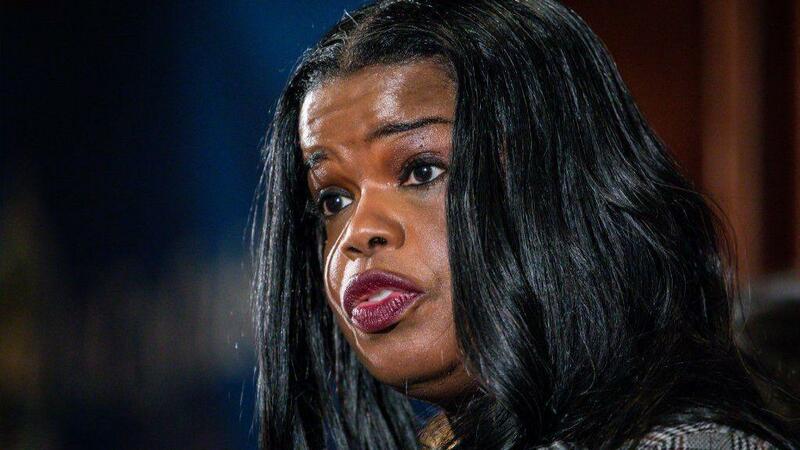 The office of Cook County State's Attorney Kim Foxx, shown speaking Jan. 24, 2019, on Tuesday dropped all charges that actor Jussie Smollett staged a fake attack. Foxx’s office dropped the charges, yes. But also as part of the deal, he will be wiped clean. His lawyers want his record expunged. That could happen as soon as today. The stain of the 16 counts in the indictment will be scrubbed right off him. You might say Foxx is bathing him in the waters of the Chicago Way, cleansing him, and making a new man out of him. “Foxx(‘s deal) expunged it all,” said a top Chicago police official. “The media’s really not focusing on that. What does it mean? It means you’ll never see the (police) interviews or read the notes. Tchen reportedly wanted Foxx’s help to lobby the Chicago Police Department and police Superintendent. Eddie Johnson. It didn’t work. You made the deal to expunge him. You let him work off “community service” with a couple of days doing odd jobs at the Rainbow/PUSH Coalition. I hoped he sold a few Jesse Jackson action figures. But then Rainbow/PUSH said it had no idea his volunteer work had anything to do with the criminal case. Editor’s note: This column has been corrected to reflect that Smollett’s lawyers are in the process of seeking an expungement, and are expected in court this week.